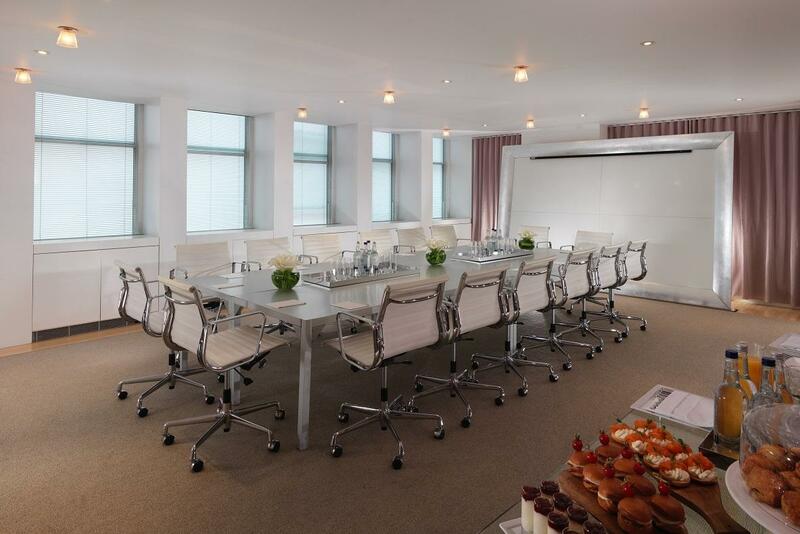 The 56 Square Metres/600 Square Feet Executive Boardroom is part of Sanderson's corporate events and meetings offering, which includes audiovisual and telecommunications equipment, production, wardrobe, makeup and casting rooms, as well as a private conference facility. Plasma monitors for audio-visual playback, smart boards, electronic flip charts, portable computers, mobile phones and fax machines available upon request. Multilingual secretarial staffing is available 24-hours on request. 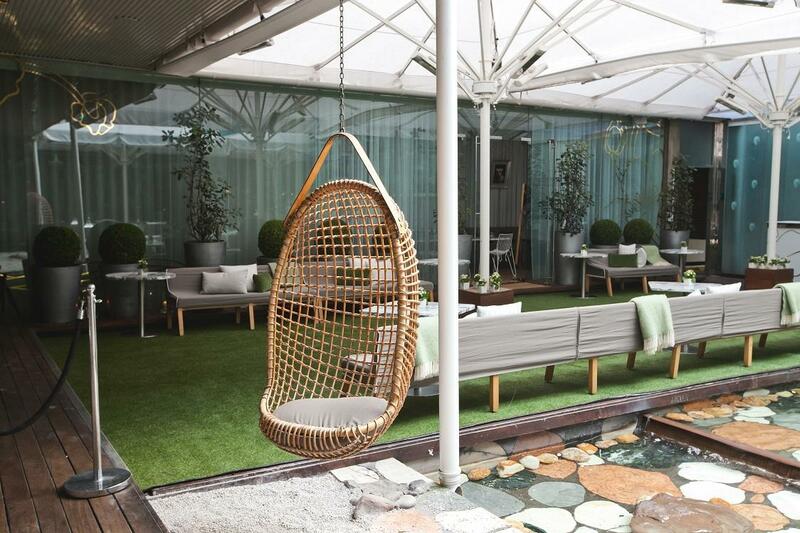 Beautiful and bright, the Terrace Room overlooks the waterfall and rockery in Sanderson's Courtyard from its floor-to-ceiling glass doors. This space is ideal for private dinners, boardroom and small meetings and workshops for up to 20 and private party receptions for up to 30. The space is tranquil with a charming elegance and quirky design, allowing guests to fully submerge into the complete Sanderson experience. Courtyard Garden is a 112 Square Metres/1205 Square Foot lush open-air oasis brimming with flowering trees, fountain, mosaics and a reflecting pool. Inspired by Japanese influences, the Courtyard reflects calmness, tranquility and peace, and offers flexible space options for meetings, weddings and special events. Sanderson provides audiovisual and telecommunications equipment, plasma monitors for audio-visual playback, smart boards, electronic flip charts, portable computers, mobile phones and fax machines and multilingual secretarial staffing upon request. Step from a private elevator entrance into the wildly romantic and dreamlike Penthouses at Sanderson, two of London's most sought after spaces. Filling the entire 7th and 8th floors, these spacious and elegantly appointed suites offer a residential ambiance, offering 2,400 Square Feet, with striking views of the London Eye - a memorable and unique setting for meetings, receptions and special events on request. 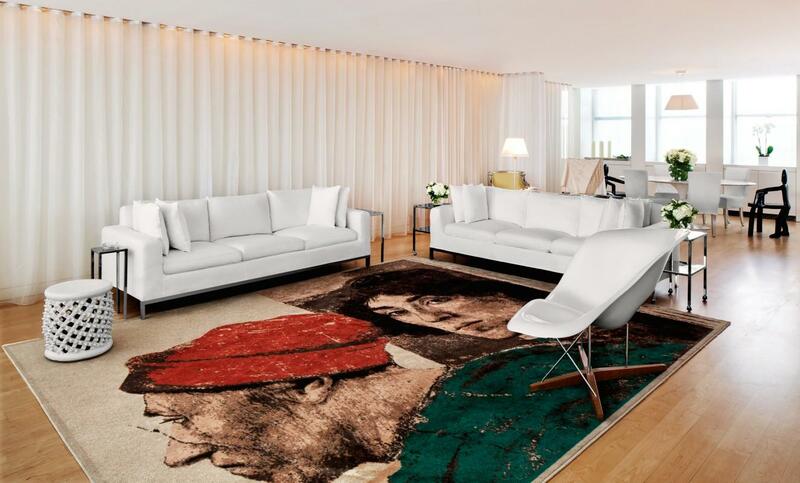 The Penthouse at Sanderson is a sought after venue for press days for all industries. It is a gorgeous and yet easily branded space great for hosting clients from all industry sectors. This luxurious space is relaxing, tranquil and still functional; ideal for dinners for up to 30 people, receptions for up to 40 people and boardroom meetings for up to 20 people. With 55 square metres of space, Purple Bar, is a veritable symphony of purples, lavenders and violets. 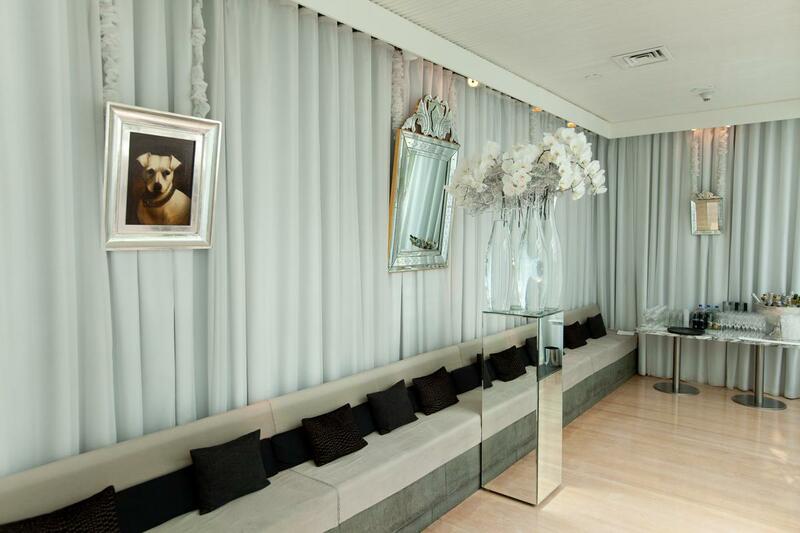 A chic and intimate lounge that has become one of London’s hottest gathering places, providing an intimate setting for meetings, receptions and special events. Enter the space via a mirror framed door located on the main lobby; escaping into this striking space. With a solid marble bar and deceiving furniture this space is ideal for all events whilst creating a talking point for all your guests. 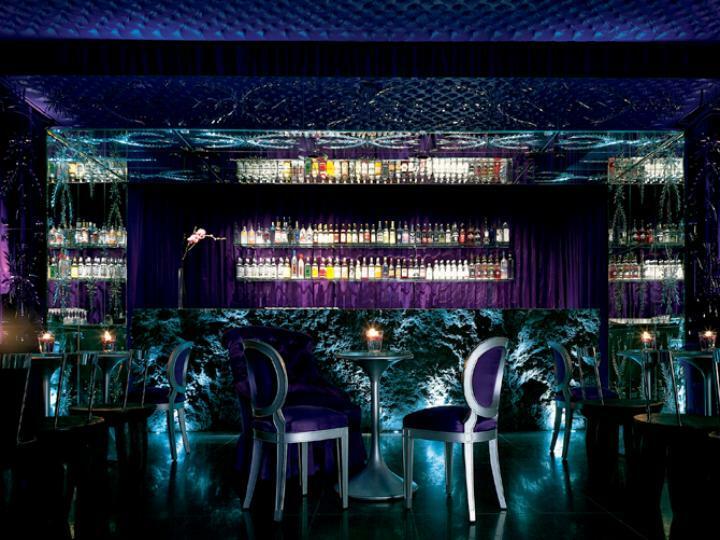 Purple Bar can be used as a full private space with opaque doored entrance. 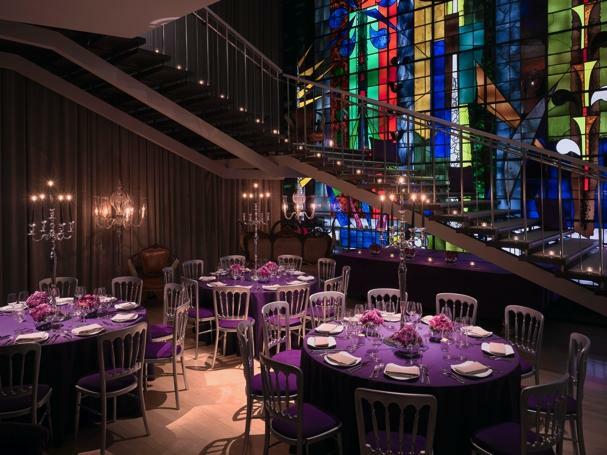 It is adjacent to the Pop-up Shop and Billiard Room; Purple Bar can be used as a pre-dinner or opening night reception space. As well as being ideal for dinners for up to 20 people. Sanderson invites you to tumble down the rabbit hole for the 150th anniversary of Alice in Wonderland and enjoy all the splendor of our Mad Hatters Afternoon Tea. Discover menus hidden inside vintage books, teapots adorned with kings and queens, sandwich plates decorated with birdcages, carousels and ticking clocks upon which rest savoury, specialty sandwiches. In celebration of the sesquicentennial anniversary of Lewis Carroll’s classic novel, Sanderson is simply giddy to introduce 5 new, tailor-made teas inspired by the characters of this beloved story. “Alice” has transformed into China Black Tea infused with hints of blackcurrant, vanilla, caramel, citrus, bergamot, blue cornflowers and blue mallow flowers. These are now available to purchase at £12-15 each. The Mad Hatters Afternoon Tea at Sanderson will continue to evolve, with elements and flavours changing seasonally. N.b. no fancy dress is allowed. Sessions are set to 2-hour periods. To purchase crockery, please contact Luna & Curious at lunaandcurious.com.